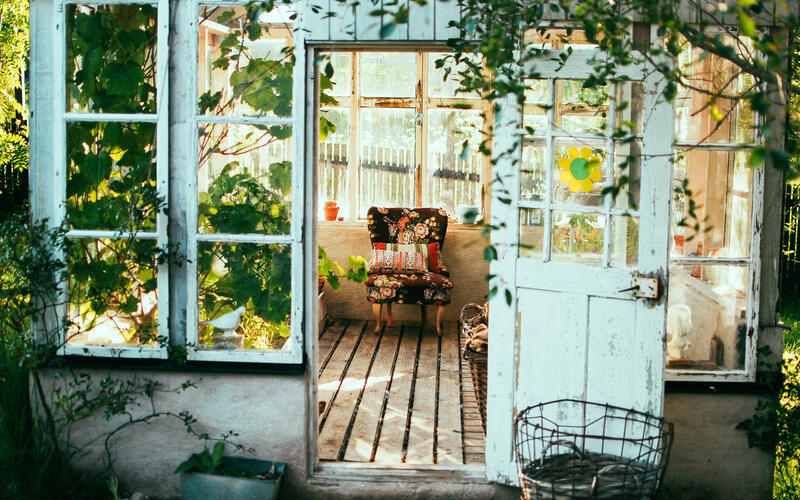 As the need for sustainable design continues to grow and more and more people look for unique furnishings, we share some of our tips to help create an eco-friendly home interior. Home decor and interior design are changing; people are no longer satisfied with replicating the contents of a shop front window for their living room. Instead, trends show that home-makers are seeking out unique furnishings and an environment which reflects their personal tastes and needs - a home they can truly call their own. Both decorative and practical, living walls are aesthetically pleasing and can even be tasty, too! Installing a living wall planter is a creative and dynamic way to decorate an indoor or outdoor wall and create a fresh, calming atmosphere to a room - with plenty options for change when desired. Pick fresh chillies and herbs straight from the stem or adorn your walls with your favourite flower species and colours - the choice is yours. In recent years, wood recycling initiatives have experienced a spike in popularity - with more of us than ever before pursuing DIY. 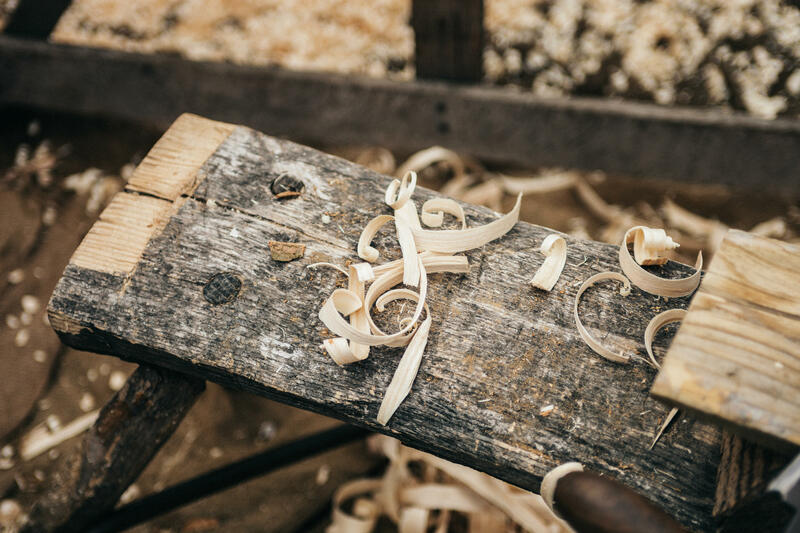 One popular hobby emerging is wood carving, the act of using sharp specialist tools to carve and form shapes, markings, objects and designs into and from wood - giving whittlers a tremendous sense of calm whilst carving and pride upon completion. Aware of the amount of screen time they're exposed to, millennials are also known seekers of traditional wholesome activities.It’s not just the general public empowering the wood revolution, either - sustainably grown wood is also popular with ethical and resourceful construction firms, particularly prevalent in modular and offsite construction. Consider putting your creativity to the test and jazz up a window to bring some much-needed colour into your home. 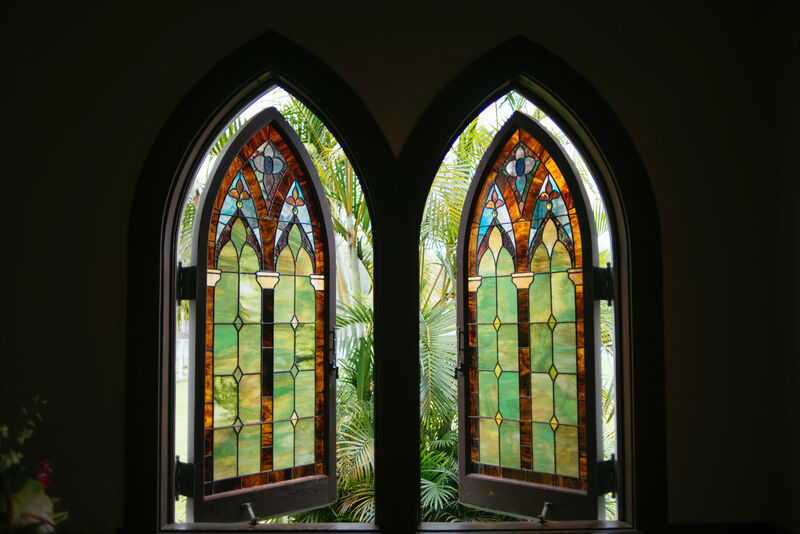 Segments of reclaimed stained or coloured glass can create unconventional, vibrant designs when they are fixed over an existing pane - or meld them together to create a completely new window pane. Designs can take up an entire pane or use bordered portions to allow droplets of colour to melt into your interior. If you’re handy with a paintbrush, another great way to bring in new, coloured light is by painting the surface of the pane, creating a projector effect when natural light impacts the glass. Where possible, try to use an eco-friendly paint solution. 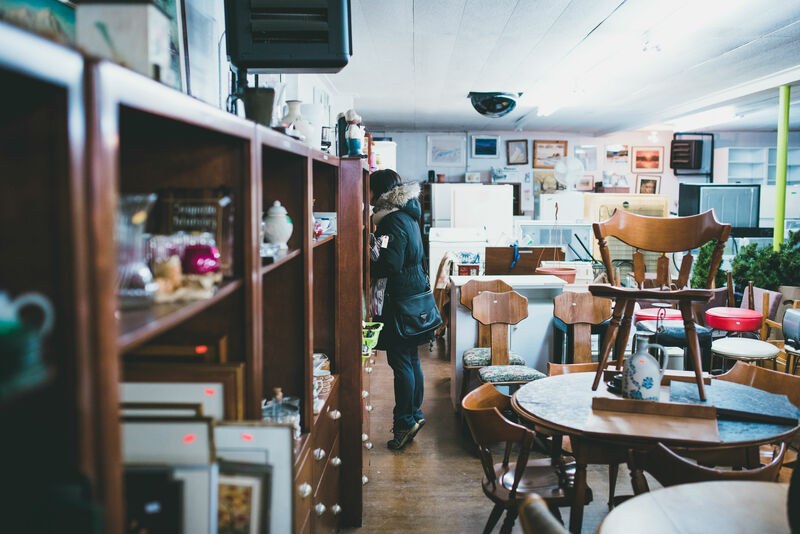 Trawl the web, a local car boot sale, secondhand store or antique shop for previously loved furniture pieces and restore them with a healthy dose of TLC. Apply new fabric to a ripped and torn Chesterfield armchair or shed years of neglect from an oak dining table with sandpaper, before dousing it in polish to revitalise your in-house dining experience. The possibilities are endless. It’s also important not to limit your search for to home furniture alone. Reclaimed furniture once housed in offices, gyms or restaurants can also look great within a home, creating a unique interior - and even a conversation starter. If you come across an old steel gym locker, don’t discount it as everyday trash. With care, time and perseverance, you can introduce some bespoke, rustic storage space to your home. The object you’re upcycling doesn’t have to have spent a previous life as a furniture piece. Old ship wheels, whiskey barrels, bannister parts and more can be used to build unique tables, eye-catching shelves and gorgeous planters for your garden. Guest post by Tori Atkinson,a content creator for Elements Europe. Elements Europe is an industry-leading offsite construction company specialising in sustainable modular building systems, and part of the Pickstock Group.